Immaculate low mileage Texas truck! When a new Yukon XL is more than $75,000...when a 2010 with 60k (if you can find one) is $25,000...when a 2015 is $40,000...you run right over and get this rust free, all original, immaculate 2004. Its whole life has been spent in Oklahoma and Texas, and it is definitely the cleanest one you will find between here and there. All the essential features are here, including barn doors, factory sunroof, heated seats, running boards, second row captain's chairs, and trailer tow package, and it's all wrapped up in a gorgeous and desirable Sport Red over Tan Leather color combination. No one's ever smoked in it; it doesn't even really look like anyone's ever sat in it. As you may expect, it does run and drive as nice as it looks, and we've had a 55 point mechanical and safety inspection performed to ensure it is turn key ready for your every day use and enjoyment. What's more, we really like this series of Yukons and Suburbans for their technical simplicity, and tried and true durability. Remember, this is the first generation 5.3 Vortec, so you're free of the issues of active fuel management, and just down to the basics of a super reliable V8. If this sounds like the truck you've been looking for, please call us today at 734-641-9750! 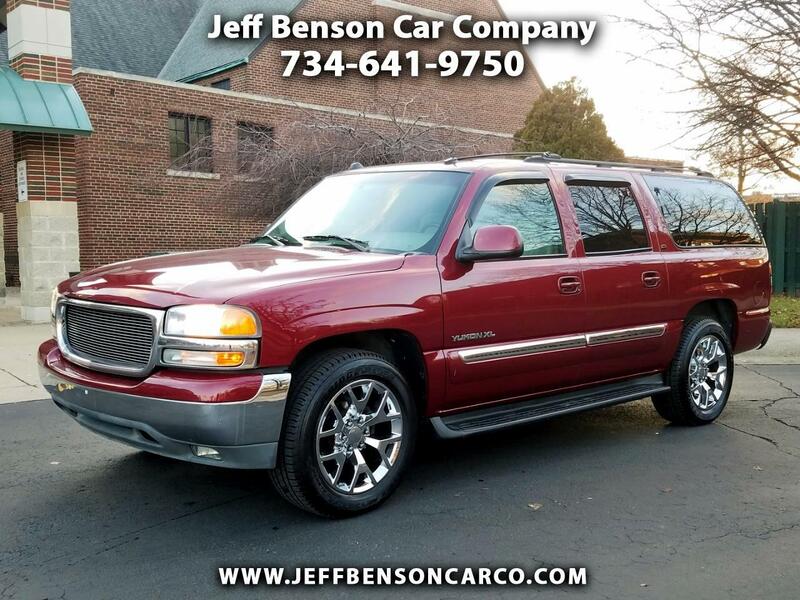 *** P.S: This vehicle is pictured and equipped with bright finish 2018 GMC Yukon SLT polished alloys on new Continentals, but may also be purchased with the stock original 17 inch alloys on new Firestones. Asking $17900 with the 2018 wheels, $16500 with the 17 inch wheels.